WTO chief Roberto Azevedo extended an olive branch to Washington after Trump adminstration announced the US was not bound by WTO rulings. GENEVA: World Trade Organization chief Roberto Azevedo extended an olive branch to Washington on Thursday after President Donald Trump's adminstration announced the US was not bound by WTO rulings. The US decision marks a clear break from past and could threaten the viability of the WTO's Dispute Settlement Body (DSB), where major trade conflicts are often adjudicated. A letter sent from the United States Trade Representative to Congress on Wednesday outlining Trump policy reviewed the terms under which the US joined the WTO when the Geneva-based body was founded in 1995. 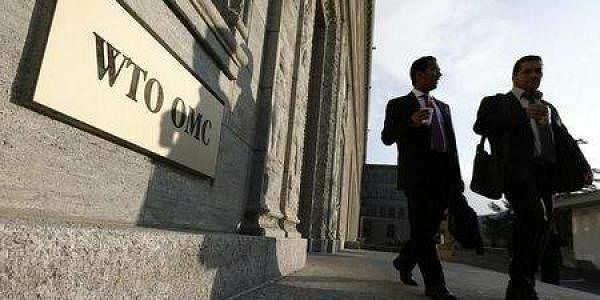 According to the Trump government's interpretation, "Congress had made clear that Americans are not directly subject to WTO rulings", said the document. The text -- entitled "The President's 2017 Trade Policy Agenda" -- also says Trump's government "will aggressively defend American sovereignty over matters of trade policy". In a statement, Azevedo said it was clear that the United States "has a variety of trade concerns, including about the WTO dispute settlement system. "I am ready to sit down and discuss these concerns and any others with the trade team in the US whenever they are ready to do so," he added. Azevedo has in multiple public appearances sought to downplay the threat posed by Trump, who during his campaign called the WTO "a disaster" and claimed that multilateral trade deals had been devastating to the US economy. Since 1995, the WTO's dispute settlement system has heard more than 500 cases centred on whether countries have broken agreed trading rules in areas including subsidies, customs and tariffs. The process can be long and subject to multiple appeals, but on Monday Azevedo defended the DSB as "the fastest dispute settlement system out there." The WTO cannot punish countries that do not abide by rulings, but can authorise retaliatory measures.